Peter Brett. Rowena Gregory. George Mcgrath. Huw Wheldon. Biopic. Music. Drama. Classics. True Stories. 19th Century. Dave T's Platinum Picks. Historical. Recommended. The BFI continues its successful strand of Archive Television releases with Ken Russell's classic documentary Elgar, which was first shown in 1962 as the 100th programme in the BBC's Monitor series. 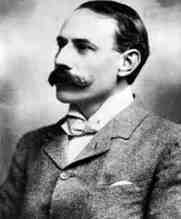 This partly dramatised account of the life of composer Sir Edward Elgar includes footage of Elgar at the Three Choirs Festival and a recording of the opening of Abbey Road Studios when 'Land Of Hope And Glory' was played.